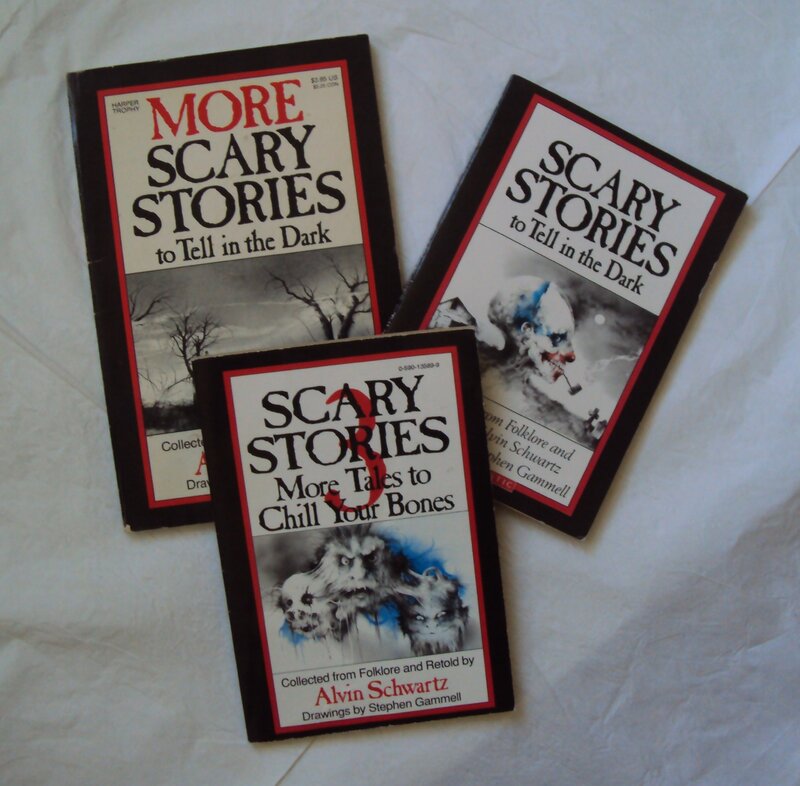 The first installment of Alvin Schwartz’s Scary Stories To Tell in the Dark trilogy hit bookshelves in 1981. The series would become a preteen cult classic and among the most banned or challenged books of the following decades. 1. ITS AUTHOR DIDN'T START OUT WRITING SCARY STORIES. Alvin Schwartz, the author and adapter behind the Scary Stories trilogy, actually began his career as a journalist, writing for The Binghamton Press from 1951 to 1955. He also had a penchant for wordplay, saying that creating rhymes is a good way for “people to express their feelings without getting in trouble.” After Schwartz left journalism, he started working for a research corporation, which he couldn’t stand, and began doing that part time, devoting the rest of his hours to writing books. One of his first published works: a Parents’ Guide for Children’s Play. His journalistic instincts and whimsical leanings are probably to thank for the Scary Stories’ characteristic surrealism and eerily matter-of-fact storytelling. 2. THE TALES WERE BASED ON FOLKLORE. Research was a huge part of Schwartz's process for all his books. When writing his book Witcracks, Schwartz turned to the archives at the Library of Congress and those of the president of the American Folklore Society, using that research and his connections for Scary Stories. Among his sources were books like American Folk Tales and Songs and Sticks in the Knapsack and Other Ozark Tales. He also drew from publications like The Hoosier Folklore Bulletin and interviewed folklorists. "Some of these tales are very old, and they are told around the world," Schwartz wrote in the foreword to Scary Stories to Tell in the Dark. "And most have the same origins. They are based on things that people saw or heard or experienced—or thought they did." The first Scary Stories book was released in 1981, and Schwartz would go on to write two more—More Scary Stories to Tell in the Dark and Scary Stories 3: More Tales to Chill Your Bones—before his death in 1992. 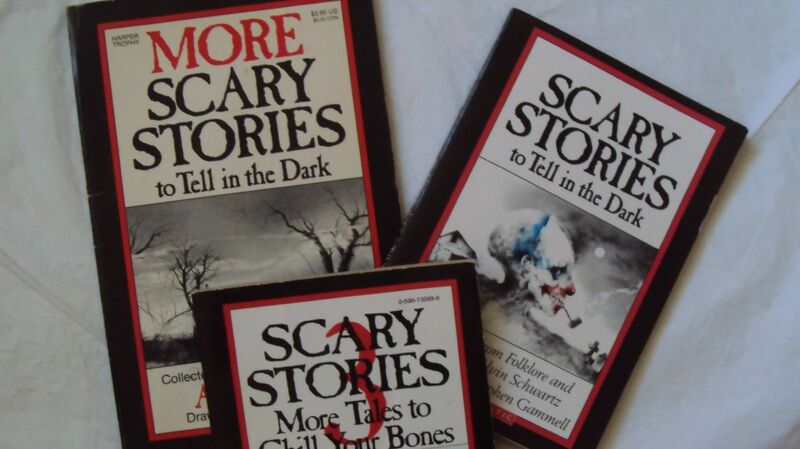 By the time the Scary Stories series reached the height of its popularity in the early '90s, the book was condemned by parents nationwide. "There's no moral to [the stories]," former elementary school teacher and mother Sandy Vanderburg told the Chicago Tribune. "The bad guys always win. And they make light of death. There's a story called 'Just Delicious' about a woman who goes to a mortuary, steals another woman's liver, and feeds it to her husband. That's sick." One parent even made a connection between Schwartz’s book and a serial killer, citing the story “Wonderful Sausage,” about a butcher who puts people through his sausage grinder and sells the meat to his patrons. “Right away I thought of Jeffrey Dahmer," Jean Jaworski, then the mother of a fifth grader, told The Argus-Press in 1995. "It's just not appropriate for children." She asked the school board to remove the book from the library, but a special committee voted unanimously to keep the books, and the school turned down an appeal. 4. ... BUT THAT DIDN'T BOTHER SCHWARTZ. 5. THE ARTIST BEHIND THE CREEPY ILLUSTRATIONS USUALLY DREW LIGHTER SUBJECT MATTER. Stephen Gammell, the mastermind behind the creepy drawings, won a Caldecott Medal for picture book illustration for his work in Karen Ackerman’s Song and Dance Man in 1989. Though these illustrations were slightly more lighthearted, they showcased the splotchy, watercolor-heavy style that’s exemplified in the artist's grim, surreal Scary Stories illustrations. (You can watch a fun time-lapse of Gammell’s process here, in the trailer for his book Mudkin.) "Stephen Gammell has made a very important contribution to these books because he has such a wild imagination," Schwartz later said. 6. THE ORIGINAL ILLUSTRATIONS HAVE BEEN REPLACED IN NEW VERSIONS OF THE BOOKS. When HarperCollins released a new version of the Scary Stories books to commemorate the series' 30th anniversary, fans were dismayed to see that Gammell's illustrations had been removed. The reprint features new illustrations by Brett Helquist, whose excellent work you may recognize from the Series Of Unfortunate Events books. 7. IT'S BEEN ON THE ALA'S MOST CHALLENGED LIST FOR TWO DECADES. About that last thing: The books fall between the 600 and 760 Lexile mark (a system used to organize reading levels), meaning that the books' vocabulary level is most suited for fifth graders. Some of the Scary Stories vocabulary words highlighted by the Lexile system were “clink,” “blunt,” “shrouds,” “drafty” “afire,” and “shatter”—further proving that the series’ simple vocabulary doesn’t rule out spooky content. 8. WHAT HAPPENS IN "THE RED DOT" PROBABLY WON'T HAPPEN IN REAL LIFE. 9. ONE TALE GOES BACK TO THE BROTHERS GRIMM. “The Big Toe,” the notorious story in which a starving boy finds a human toe in the ground and makes the terrible mistake of eating it, is based on an old folktale that dates back to early 19th century Germany. (Maybe not surprising; this is the country that brought us Der Struwwelpeter, after all.) Mentions of the tale were first found in the Grimm Brothers’ notes, and a version of the story—with an arm replacing the titular toe—was later a prominent feature of Mark Twain’s public speaking appearances. When he was done speaking, Twain would jump into the crowd and scream at an unsuspecting audience member. 11. “WONDERFUL SAUSAGE” WAS PARTIALLY BASED ON A SONG FROM SCHWARTZ’S CHILDHOOD. Schwartz told The Lion and the Unicorn that he’d heard a fragmented version of the tale, “which is about a butcher who is sort of a prototypical Sweeney Todd,” in New Orleans. But it was also inspired by a song he learned as a kid at Scout camp called “Dunderbock and the Sausage Machine.” That butcher in the song, Schwartz explained, made sausage from dogs and cats, “and one day the machine slips or falls and he goes into the machine himself. This is the end of [the song]: ‘His wife had the nightmare. / She walked right in her sleep. / She grabbed the crank, gave it a yank, / And Dunderbock was meat.’” You can listen to a version of the song here. 12. THERE WAS AT LEAST ONE STORY HE WOULDN’T FEATURE. The Scary Stories trilogy is currently being adapted into a feature film by CBS Films and John August, writer of Big Fish and Frankenweenie. The movie, which had originally featured Saw writers Marcus Dunstan and Patrick Melton, is currently in development. 14. ... AND A DOCUMENTARY. Scary Stories (Official Trailer) from Cody Meirick on Vimeo. If documentaries are more your speed, there may be one of those too. An upcoming documentary from Chicago filmmaker Cody Meirick will “explore the history and background of one of the most controversial works of modern children’s literature: Scary Stories to Tell in the Dark.” On the project website, Meirick explains that the film will not only explore the impact of the stories on the kids who grew up with them, but also the broader topics of children’s folklore, the heritage of gothic ghost stories, and what draws us to them.